Beth Dooley: Cheese Glorious Cheese! 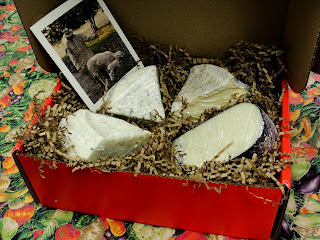 Better yet, give the gift that gives all year long -- a cheese CSA -- or classes in cheese-making (February 12 and March 11). Custom classes are also available; as are private tours and tasting parties. For more information, e-mail the folks at Shepherd's Way -- farmfriends@earthlink.net. This is delicious served on the cheese board and comes together in a flash. Put the cranberries and ginger into a food processor fitted with a steel blade and process until the cranberries are finely chopped. This will keep in a covered container in the refrigerator about 1 week. What to Eat Christmas Morning?